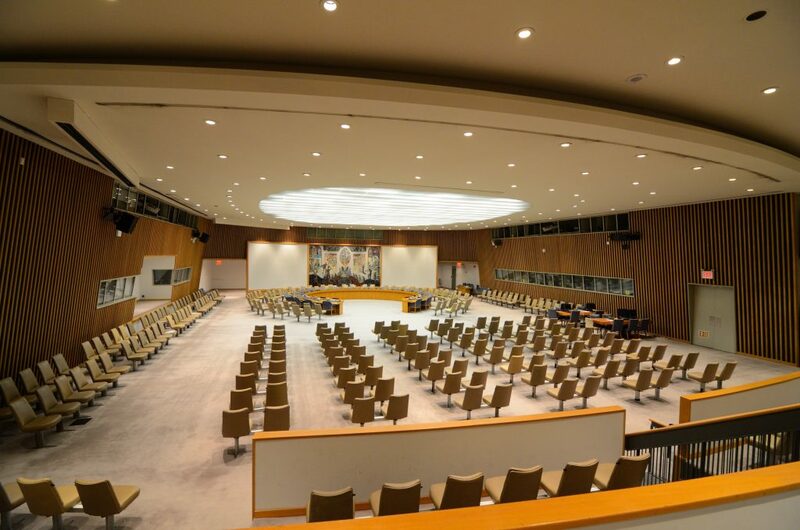 The United Nations Security Council chamber. The U.N. Security Council convened to discuss the Israeli announcement of plans for 2,500 new housing units in Yehudah and Shomron, but issued no condemnation, The Jerusalem Post reported on Thursday. Council members heard reports on the matter Wednesday, including an update from Nikolay Mladenov, U.N. Special Coordinator for the Middle East Peace Process. “We are talking about an awful lot of units and in contested territory. This is of great concern to us, and we are not the only ones that are concerned” because unilateral actions by Israel as seen this week “threaten the peace process,” he said. While the Trump administration did not comment on the Israeli announcement, a departure from its predecessors’ policy of condemning every such development, the European Union did so. Less expectedly, Australia also issued a statement voicing “concern” at the Israeli action, the first time Canberra has issued a statement on construction in the region since August 2014. The comment comes amid rumors that Netanyahu may cancel a trip to Australia and Singapore next month, possibly to fly to Washington to meet with President Donald Trump instead, or due to the pressure of the investigations against him. The Australian statement raised speculation that it’s a signal to Netanyahu not to take Australia’s strong support for granted, and not to cancel the visit. Netanyahu canceled a planned visit to Australia in 2014, as did then-foreign minister Avigdor Liberman that same year. And last year President Reuven Rivlin scratched a trip as well, opting to travel instead to Russia. “The cancellation of three high-profile visits in less than three years has not been lost on Canberra,” the Post observed.